It doesn't matter how expensive they are: from the priciest 4K/HDR OLED sets to the more affordable options under $500, most TVs have one thing in common: their built-in speakers aren't very good. That's what soundbars are for. These compact speaker housings sit low to the ground in front of your TV, turning its otherwise mundane sound into a respectable audio experience. Not only do soundbars deliver much more audio wattage than TV speakers, but they're also usually equipped with a wider range of audio output/reception options, more finely tuned sound modes, and even the more affordable ones often come with key extras like a wireless subwoofer. And you don't have to pay a ton of money for a great soundbar—we found that out ourselves. If you want our favorite for under $200, check out the Polk Audio Signa S2 (available at Amazon). However, all the soundbars we tested brought something to the table, even if some were a little better than others. Originally priced at $200 but widely available for $150, the Polk Audio Signa S2 presents a great value. On paper, you're getting a well-tuned soundbar and external subwoofer with handsome, glossy finishes and reliable-feeling construction. The Signa doesn't look severely fancy, but it doesn't look cheap either. Either way, in this price range, looks aren't usually a chief concern. As for features and functionality, however, the Signa S2 checks off a lot of the right boxes. The soundbar and sub come pre-paired right out of the box, and you're getting a slew of common but useful functions: Bluetooth, naturally; different modes for movie, music, or night audio (the latter masks high, sibilant frequencies and reduces bass); alternate volume rockers for the soundbar and subwoofer; and three different "Clear Voice" settings for use with TV/movie programming. Where audio quality is concerned, the Signa S2 does a knockout job, especially where bass presence is concerned. During one sampling period, I started streaming music from Spotify to the soundbar via Bluetooth, and had to re-pair the subwoofer after checking if it was synced. Once the sub kicked back in, I immediately felt the familiar shaking warmth of bass presence filling the space, robust and distortion-free. Unlike some entry-level soundbars, cranking up the volume on the S2 doesn't introduce distortion or imbalanced frequencies. While there's no bass extension, the S2's frequency crossover sounds very well balanced, and even compressed streaming Bluetooth audio sounds very crisp. While this richness can cause movie soundtracks to overpower movie dialogue at times, the Clear Voice functions (which adjust the bar's frequency response to emphasize the midtones where male and female voices exist) work to stem any muddiness. While it's not a full surround-sound system, for around $150 (or even $200), the Signa S2 stands out as the Best Overall soundbar in this price range. You're not getting satellite speakers, but the combination of bar and subwoofer, satisfying bass presence, smart audio modes, and "Clear Voice" option (very helpful for streaming content or DVDs with diminished speech audio) makes the S2 the best choice for the most people. The ideal soundbar blends right in with your TV; it's the unsung hero of movie night. Hello. I'm Lee Neikirk, an ISF-certified AV calibrator as well as a musician and music-lover. I love listening to music almost as much as I love making it, and have enough experience mixing on studio monitors and fussing over built-in TV speakers that I find soundbars and consumer sound systems to be fascinating to work with. While the sound quality is a chief consideration in these reviews, in lower price brackets we're just as focused on practicality and usability. We compared five standalone soundbar and soundbar/subwoofer combinations from five major manufacturers with prices ranging from around $100 to around $200. Testing involved using them as any consumer would: using each bar as an audio substitute for a TV (via either HDMI ARC or optical), testing its streaming and Bluetooth functions, and analyzing its sound modes, voice-boosting modes, and individual proprietary features. Where listening and frequency analysis is concerned, I didn't use any special equipment, just back-to-back analysis of sources like Netflix/Blu-ray movies (using a 55-inch Vizio M-Series 2018 TV), Spotify over Bluetooth (or Chromecast, where allowed), and occasionally, 3.5mm aux sources and USB. What I discovered is that, while the soundbars all had different combinations of drivers, tweeters, woofers, and external subwoofers, generally, audio quality was respectable in most cases. What really tends to set soundbars apart in this price range are usability pain points, design aesthetic, and responsiveness. 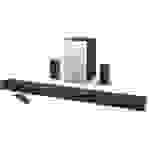 In short, the point of a soundbar is to replace your TV's built-in speakers with something that actually sounds good. Because audio speaker (driver) clarity depends so much on the vibration of moving parts within a confined space, modern super-thin LED and OLED TVs generally don't have very good sound. You might think your TV sounds fine, but when you hear your favorite movies, TV shows, or music through a good soundbar, your opinion will change. Soundbars aren't your only option for improving your living room/home theater audio, but they're by far the most affordable and convenient option for doing so. If you live in an apartment or smaller space, rent, or simply don't want to shell out the considerable funds it requires to install full-on in-wall speakers or a surround system in your home, a soundbar is a non-permanent way to easily up your TV audio experience. 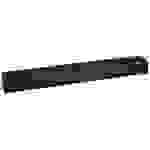 The major things to look for when shopping for a soundbar are price, audio output, and connectivity, the latter two usually being directly related to the first. If your price range is $200 or less, you likely aren't going to get extras like Dolby Atmos, object-oriented speakers, or a huge range of decoding/pass-thru options for advanced or lossless audio modes. However, you can expect to get multiple speaker drivers comprising at least a stereo (left/right) setup, and usually an external subwoofer. Tweeters refer to smaller speakers (drivers) assigned to the high-mid and high (treble) frequencies of the audio spectrum. Woofers and sub-woofers refer to speakers (drivers) assigned to the midrange or bass/sub-bass frequencies of the audio spectrum. For $200 (or less), the Yamaha YAS-108 squeezes a lot of features and sound into a slim form factor. From an aesthetic perspective, it's not much to look at: a rounded, charcoal black chassis houses two 30-watt speakers and a built-in 60-watt subwoofer. If I'm being honest, the YAS-108 kind of looks like what you'd expect to see if you looked up "soundbar" on Wikipedia. But I kind of like that about it. The YAS-108 takes a no-nonsense approach to features, too. There are touch-responsive control buttons along the top, but most people are going to be using the included remote to control it. It's a flat, simple controller that allows you to turn the soundbar on and off, control the speaker and subwoofer volume individually, mute, swap between stereo and surround modes, and so on. 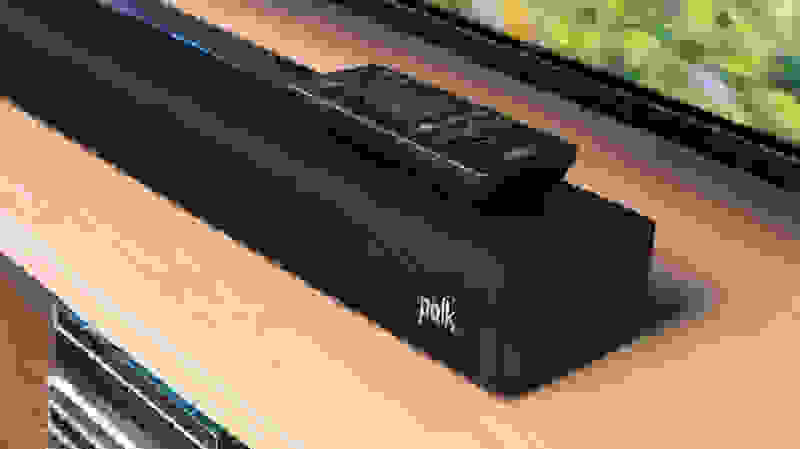 A mostly intuitive series of lights on the soundbar provide visual feedback, though understanding what they're indicating will take a bit of getting used to. For what you're paying, nothing about the YAS-108's features help it stand out overmuch, but unless you have very specific needs you won't feel like anything is missing. You're getting separate treble and bass control, Bluetooth, Clear Voice, bass boost—that's plenty. As for the sound, the 108's initial downside (if you're looking for an audiophile experience on a budget) is that it doesn't include an external subwoofer. I listened to movies, ambient noise on YouTube, and music (over Bluetooth) on Spotify to gut check the YAS-108's audio quality, and while it gets the job done, the internal woofer doesn't come without some issues. It certainly adds more bass presence than would be perceptible without it, but turning it up too much causes the soundbar to occasionally vibrate and sound a bit distorted. The 120 watts of power here are considerably better than what's coming out of your TV, but the combined treble/midtone/bass in a single chassis gets occasionally muddy if you crank up the volume a lot. Despite that, maxing out the volume can fill a medium-sized room, but the YAS-108 doesn't get terribly loud. It'll be enough for most people's TV viewing needs, but it might not be enough as background music for a noisy party or gathering. All in all, the YAS-108 provides satisfactory audio and a baseline selection of features. It's enough for most size TVs, and is very easy to plug in and get going with. You're getting pretty good value for $200, especially if you just want a simple, single-body audio solution at home. We first enjoyed Razer's PC gaming-focused Leviathan soundbar during our roundup of the Best Soundbars Under $250, finding its general audio quality to be superior to the other 'bars we sampled. However, while the Leviathan (and its hefty external sub) certainly sound great, there are some trade-offs you're making when considering it as a TV/Home Theater stand-in. First, the design/aesthetic doesn't complement a TV/viewing environment perfectly because it isn't meant for one. The bar itself is very short/compact (around 17 inches), which will match the general width of a computer monitor stand but won't look as "natural" with a mid-size or large TV as a more traditional soundbar: it's not as long, and it's a little tall considering how low a lot of TVs sit on a tabletop. 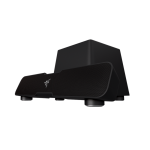 Further, Razer's branding—the green three-headed snake insignia—may not entirely fit the vibe of your finely appointed home theater space. And finally, you aren't getting an HDMI (ARC) port here or a remote, which limits its convenience when it's across the room under the TV. If you aren't bothered by the slight eccentricities that result from Razer intending the Leviathan for PC gaming, you're going to love how it sounds. The Leviathan delivers crisp treble and midrange frequencies, and the wireless subwoofer adds plenty of bass. In our first-ever soundbar survey for the under $250 bracket, most listeners preferred the Leviathan's sound, and it's true that while its shape breaks away from the traditional soundbar form factor, the different chassis does seem to allow for better sound. Another round of listening tests (Bluetooth music and TV via optical) saw the Leviathan still sounding excellent. Controlling the bar (selecting volume, changing between music/movie/game sound modes, and adjusting the subwoofer's bass presence) is easy enough to do via the on-set controls, but if you like to make a lot of alterations and adjustments for different kinds of content you may find yourself wishing you had a remote control. The Leviathan offers a unique aesthetic and solid sound performance, but it's also not the most convenient out of the sub-$200 class bars we tested. When it comes to the best under $200, this 2017 Vizio soundbar is cheating a bit. While it started at $250 in 2017, it's still widely available for less than $200, and you're getting a lot of cheddar for that bread (what?). The SB3651-E6—so named because it's a 36-inch bar with a 5.1 channel audio setup—comes closer to a home-theater-in-a-box situation than any other soundbar we tested and is probably the closest you're going to get to that in this price range. 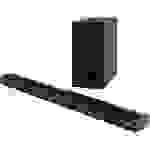 You're essentially getting the soundbar as a center channel, two satellite speakers on the left/right, and a wireless subwoofer, providing a healthy amount of aural space for bass, midtone, and treble frequencies to sound properly. The SB3651-E6 is also one of the most feature-filled and flexible soundbars under $200 that we checked out. This surround system naturally allows for a wide range of listening options, including being one of the only soundbars in this price range we tested that has built-in streaming (via a Chromecast function for apps like Spotify and Pandora). 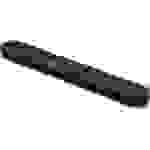 It's also Bluetooth compatible and works with Google Assistant, and is one of the only 'bars in this roundup that allows for lossless.WAV playback via USB. 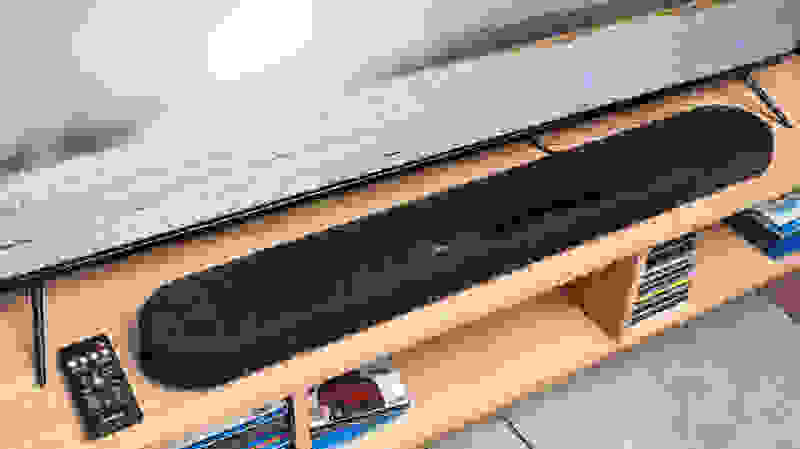 This Vizio soundbar sounds excellent and delivers a more cohesive surround experience than the others we tested in this price range (even though it technically is not always in this price range). If you can find it for less than $200, it's a steal. But it's also a 2017 model, and is becoming increasingly more difficult to find, which is why it didn't take the top spot. Still, shop around for it. If you want the most robust sound system you can get for the least money, this one should be on your radar. While it retails for $149, you can find the JBL Bar Studio for as low as $119 online, making it one of the most affordable soundbars to make the list. 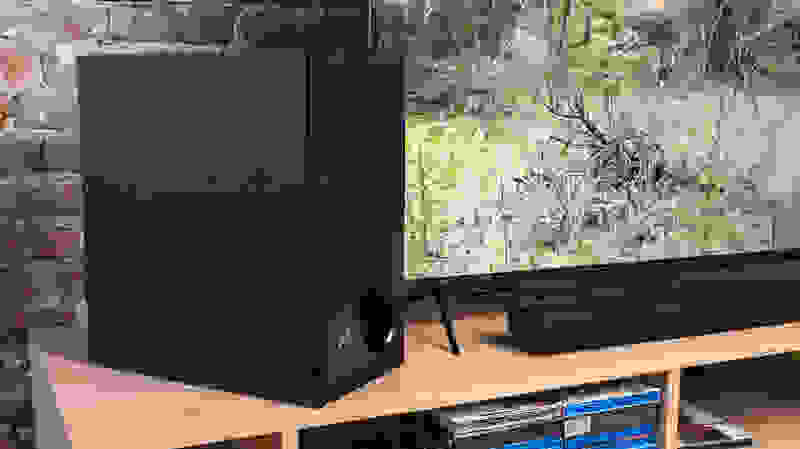 While that might seem attractive, and the Bar Studio is a big upgrade compared to standard TV speakers, there are some reasons you might want to pay a little more. For one, the four-driver speaker arrangement is not bad, but it's not the best-sounding 'bar I listened to. While you're certainly getting more volume, the Bar Studio wasn't as robust and crisp as other bars, like the Polk Signa S2 or Leviathan. It's a very compact and space-saving product, but at its size, it doesn't have room for the larger drivers required to produce a lot of high-quality sound. You can crank it up (with separate controls for tweeter and woofer volume), but the overall result is not jaw-dropping. It simply gets the job done. My biggest issue with the Bar Studio is actually the remote. It's a tiny, flat controller that's stuffed with buttons. All of the buttons have the same physical dimensions/travel and tactile sensation, and there are so many packed onto the surface of the tiny remote that it's tricky to figure out what does what at first. It's not a major gripe, but it's one of those little things that make the Bar Studio feel less valuable than some of its competition. If you absolutely want to spend as little as possible, this one gets the job done at $119. But if you want something that's less bare bones and more fleshed out, there are better options.